Las Vegas, and other locations. We also provide service in the states of New York, Illinois, Pennsylvania, New Jersey, Conneticutt, Rhode Island, Washington D.C. Maryland, Massachusetts. Ohio, Virginia, Texas, Nevada, Florida, Indiana, Wisconsin. We serve San Francisco and the Bay area and we will travel anywhere in the USA. Arr, a pirate theme party is fun for everyone. Any event is more fun with a pirate theme. 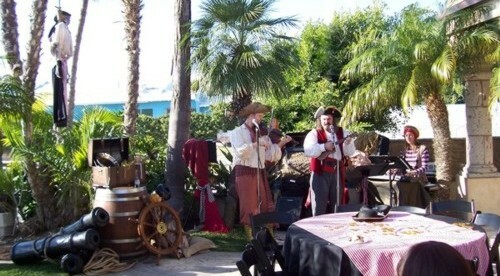 Let us help you put on the ultimate pirate theme party or pirate show. 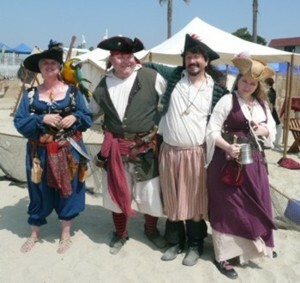 Your guests will always remember the fun they had at your pirate theme event. 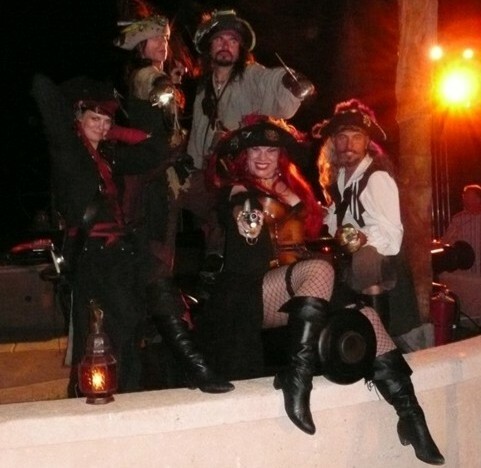 We provide a wide range of entertainment for you to choose from and we'll decorate your home or venue like a Caribbean Pirate's Lair with cannons, treasure chests, barrels, lanterns, candelabras, nautical artifacts, pirate skeletons, sunken ships, pirate flags, and other pirate and tropical theme props and pirate decorations including palm trees.